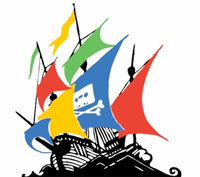 Copyright holders continue to flood Google with DMCA takedown requests, targeting “pirate links” in the company’s search results. In recent years the number of notices has exploded, breaking record after record. This week TorrentFreak crunched the numbers in Google’s Transparency Report and found that over the past 12 months Google has been asked to remove over a billion links to allegedly infringing pages, 1,007,741,143 to be precise. That the second billion took only a year, compared to several years for the first, shows how rapidly the volume of takedown requests is expanding. At the current rate, another billion will be added by the end of next summer. Most requests, over 50 million, were sent in for the website 4shared.com. However, according to the site’s operators many of the reported URLs point to the same files, inflating the actual volume of infringing content. The surge in takedown notices was also placed on the political agenda. In the UK, for example, proposed amendments to the UK’s Digital Economy Bill propose fines for search engines that fail to properly target piracy. At the same time, the U.S. Government is considering changing the current takedown requirements. The Copyright Office launched a public consultation in order to evaluate the impact and effectiveness of the current DMCA provisions. This review is still ongoing and was extended earlier this month. Thus far the consultation already triggered heavy criticism of the DMCA process from various copyright groups. However, according to Google itself, the current system is working just fine. “The notice-and-takedown process has been an effective and efficient way to address online infringement,” the company informed the Copyright Office earlier this year. While Google believes that the millions of reported URLs per day are a sign that the DMCA takedown process is working correctly, rightsholders see it as a signal of an unbeatable game of whack-a-mole. Various copyright holders and industry groups have asked the Government for broad revisions. Among other things they want advanced technologies and processes to ensure that infringing content doesn’t reappear elsewhere once it’s removed, a so-called “notice and stay down” approach. For now, however, nothing has changed, so it is expected that the number of reported pirate links will continue to increase.